Don’t delay – enter today. 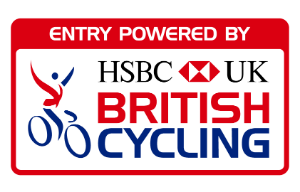 On-line entries close 14 September 2018 @ 23.59hrs ! This is our shortest “100 mile” ride, but its not for the faint hearted – in fact its a bit of a beast !! Push your legs to their limits on this cycling challenge through the little known routes in and around some of North West England’s best places to ride a bike..
You will leave Lancaster on the riverside cycleway before heading inland towards Quernmore and up into the Bowland Forest area. Our route ascends through both Oakenclough and Chipping en route to the Clitheroe area. Traffic free lanes are then followed to explore the remote Ribble Valley District – North through the quite village of Slaidburn and almost to the foothills of The Yorkshire Dales. But a large U turn is executed that will steer you South again – surrounded by some of the most scenic and remote roads a bike can take you, passing through Gisburn Forest, alongside the picturesque Stocks Reservoir and on to the very centre of the British Isles at Dunsop Bridge’s phone box. On your return to the finish area you will be presented with your bespoke souvenir event medal, muffin and goody bag. Then park your bike and join us inside the incredible 3-1-5 Health Club for a complimentary drink and a relaxing swim in one of their 3 pools along with a massage, Jacuzzi and sauna.